Xbox 2: Microsoft has a lot to deliver this year. The Xbox One has been the reigning gaming console along with its eighth generation competition from Sony since their advent in 2014 and 2013 respectively. But it looks like Microsoft is in a hurry to push out the next generation of gaming consoles much ahead of Sony to attract buyers who are willing to take the plunge. With the way the world of gaming is advancing, there was little doubt that console makers would soon want to come up with better platforms to support all the new technology that is coming out. Sony went halfway through to that with their PlayStation 4 Pro, better known as the PS 4.5 that they launched in 2016. But Microsoft is willing to challenge their competition by pushing out their next level Xbox way earlier than Sony. Microsoft announced Project Scorpio, largely believed to be the Xbox 2, at their annual E3 event in 2016. While the console itself and what market it is being aimed for has been kept a well-guarded secret, Xbox head Phil Spencer told attendees that the new Xbox will be the most powerful console ever made. He also let us in on a few of the specs that the new console will be made with, but they were barely enough to meet our curiosity. But what we do know for sure is that the tech giant is targeting a release window of November 2017 with the Xbox 2. 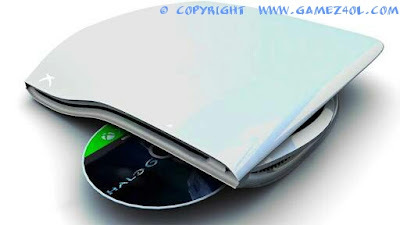 But the real question is, won’t that be too soon to push out something that is as ambitious as the new console? The truth is, there has been a lot of controversy about the claims that Microsoft has made about their upcoming console. And the most widely discussed aspect is the fact that the company is aiming to make the Xbox 2 into a native 4K supporting device with 6 teraflops of power. A boost of this kind certainly sounds very promising, and we even think that the claim is pretty solid. Especially when we compare it to its equivalent in the Xbox One. After all, the present generation console from Microsoft only houses 1.31 teraflops, a little lower than the 1.84 teraflops of the PS4. There is no doubt that the Xbox 2 will aim to live up to the claims made by its manufacturer, but many experts in the particular field have different things to say about the specs Microsoft has disclosed. The folks over at Sony, especially, have insisted that true 4K support can only be achieved with a minimum specification of 8 teraflops. While that’s certainly disheartening to hear, especially coming from a console maker that everyone respects, we have to keep in mind that technological betterments are rarely achieved with singular improvements such as this. In order to achieve true 4K gaming, there are a host of other technical factors that need to be addressed along with the core power. In the case of the Xbox 2, the 6 teraflops of power will be coupled with a 320GB per second memory bandwidth. But there is a lot more that needs to be done in order to deliver true 4K gaming, and we know that Microsoft is not a company that will risk going back on their words and causing a fan backlash. So it all boils down to one crucial thing, that we might end up seeing a major shift in the final release date of the Xbox 2. And while that’s not exactly a good thing, we would rather get our hands on what has been promised a little later than being given a platform that doesn’t do what it says. We bet Microsoft agrees with us.